Caterology is the business answer. 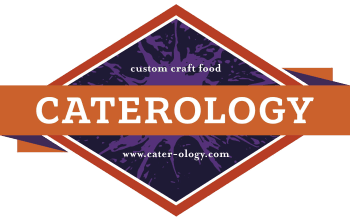 Caterology is striving to provide reliable, no hassle, dependable delivery service to all types of local businesses that demand custom, fresh, great-tasting food. We are more than just another catering service. You need to rely on a caterer that will come through for you every time…for the big breakfast meeting, lunch for the executives, or evening dinners & celebrations. Caterology works for you at home. You need someone you can count on for your birthday party, bridal shower, bar or bat mitzvah or picnic dinner. You know that entertaining at home can be stressful…let us be your solution. Caterology will provide not just great food, but great food served how you want it–and when you want it–without breaking the bank. Caterology comes through every time. You will be hard-pressed to find someone who makes more scratch food than we do. In fact, we have our own bakery that produces nearly all of our baked products in-house. Providing an easy-to-use service featuring the highest quality foods available in the Greater Cleveland-area market. We accept all major credit cards and business checks. See the How to Order tab for ordering hours.